At Pulgas Ridge today the coyote brush shrubs looked downright crispy and madrone and coast live oak (evergreen trees) seemed to be contemplating switching sides with their deciduous cousins. All the buckeyes, bigleaf maples, and poison oak bushes have shrugged off their dead leaves and stand, branches outstretched, waiting for rain. 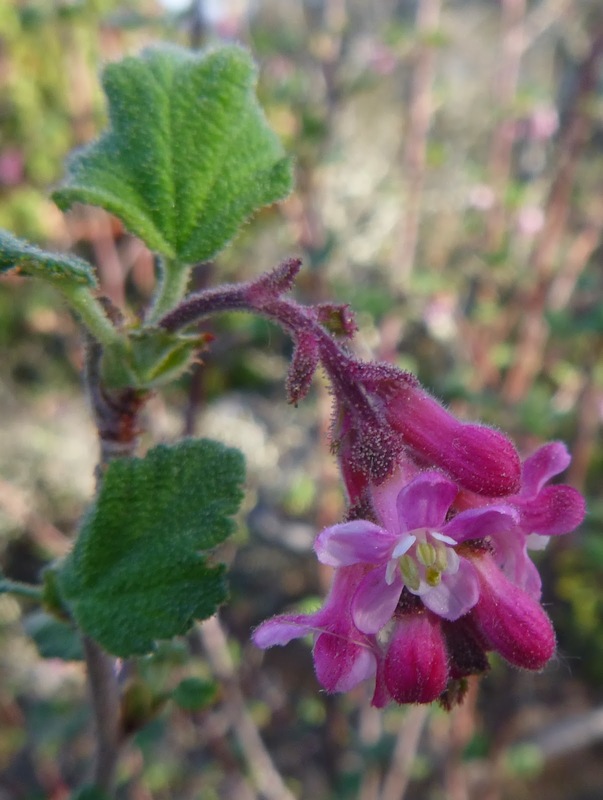 Among the chaparral of Dusky-Footed Woodrat Trail I found one confused currant bush!